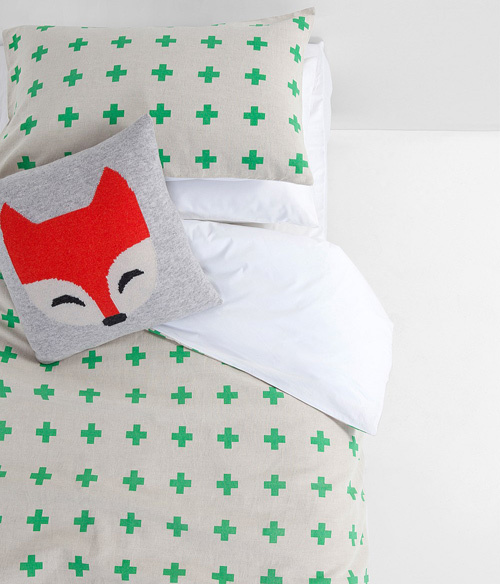 When iconic Australian fashion label Country Road added children’s bedding to its Home collection late last year, we were pretty excited. Especially when it turned out the bedding had the same style, sophistication and quality as Country Road’s children’s clothing. 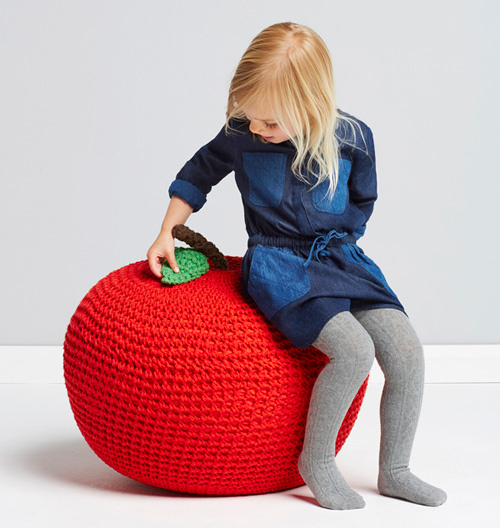 Well, here’s a new reason to make Country Road’s Home collection for kids the apple of your decorating eye. 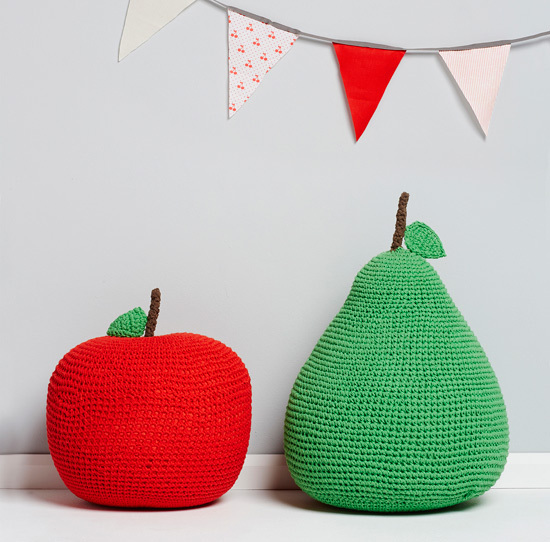 New to the Country Road Home range comes a decorating line just for kids – and what a way to kick the collection off, with this giant pair of knitted fruit cushions. Part of Country Road’s Autumn-Winter 2014 range, these cushions are sure to be the hot nursery decorating item of the season. There’s only one thing to ask – are you an apple or a pear? The new range also encompasses pure lambswool knit cushions and blankets, perfect for making cosy nooks for the kids this winter. 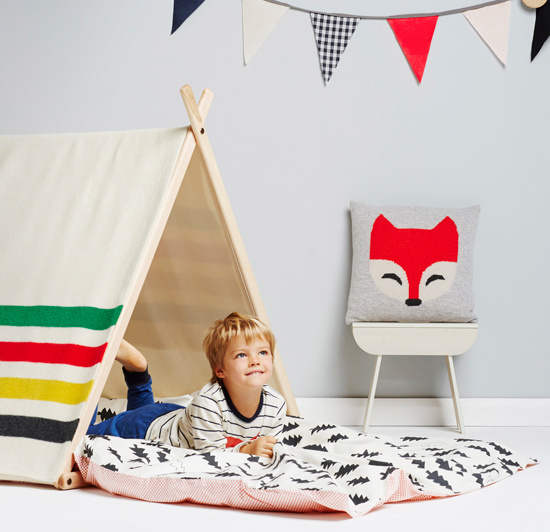 Drape the stylish blankets over a teepee frame, like so, or just use them for nap-time or cuddles together on the couch. Now come take a closer look at Country Road’s children’s linen options, all soothing colours, cotton-linen and beautiful designs. I’ll start with my current favourite, the Fynn. Green apple colour crosses liven up this crisp linen. It’s available in a single quilt cover for $129, the double is $149 and the matching standard pillow case is $29.95. 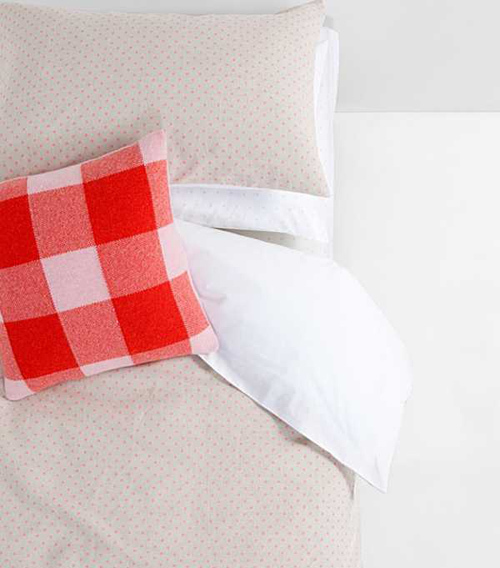 Pink spots give the Evi quilt cover a sweet look, and this is also available in a double. The stripes of the Thom are very “now” and make a bold statement. This lovely cloud pattern is the Ditte – the muted colours are perfect for offsetting bright scatter cushions. The modern florals on the Isabel are pretty without being overly girly. 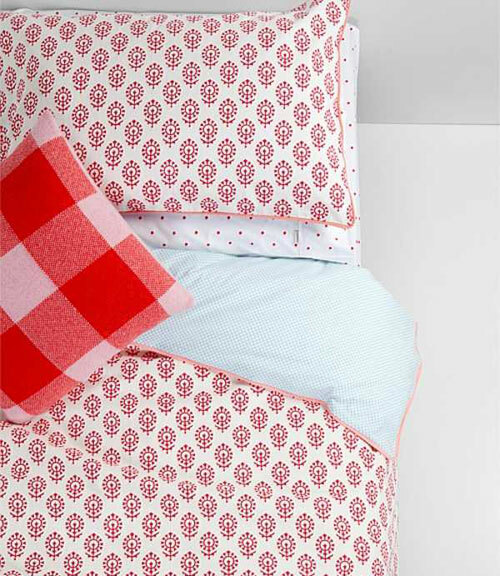 Country Road also make some lovely, crisp sheet sets – the singles are $99.95 and the doubles $129. 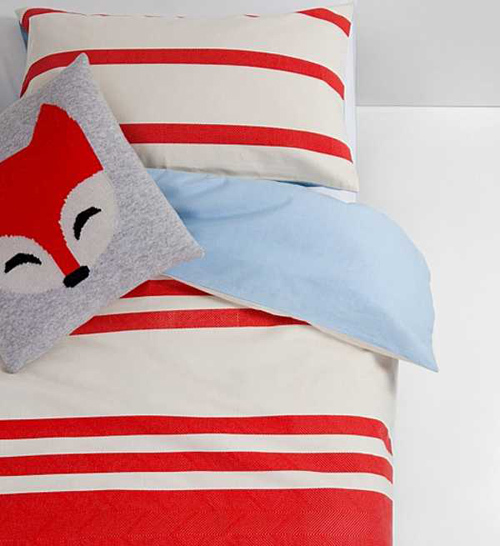 The bedding, cushions and blankets can be purchased now at Country Road or in store. The giant fruit cushions are coming soon.